What is Meerkat, the app evaluated $40 million just a couple of week after its launch. If you are a tech lover and you are following the recent news, you probably already know Meerkat and what it is about. Well, the Meerkat is an animal, also known suricate. It is a funny little pet living in the desert, usually standing on the rear legs to better watch the landscape and see what happens. 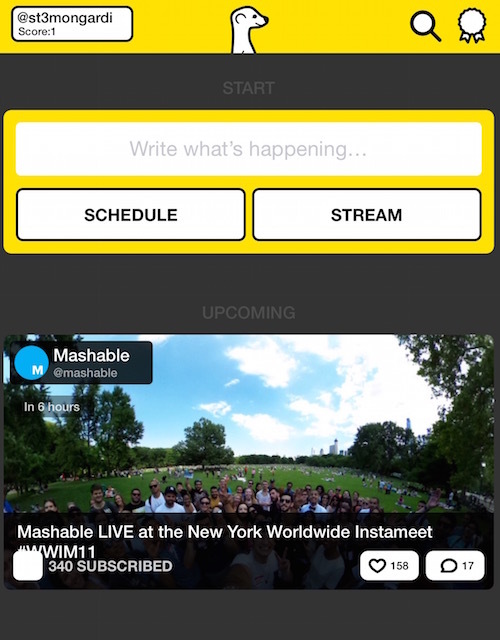 Meerkat is a live video streaming app available on iOS created by Ben Rubin. It was created in February and it quickly found popularity on Twitter after its debut on the website Product Hunt in March 2015. 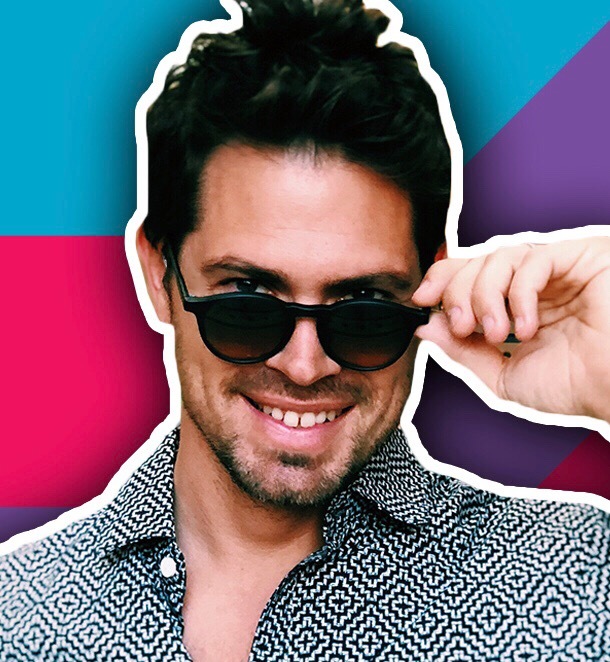 In just a few weeks it got over 200,000 users and it just got $12 million in investment by Greylock. Now the evaluation of the company is $40 million! So $40 million dollar evaluation in just a couple of weeks, not bad! The viral launch of the app was thanks to the famous discover-platform Product Hunt, a place where everybody can submit a new app, product or service with a large and tech-savvy community. Meerkat is also very simple and with a specific purpose: share live video with your Twitter followers, who can engage with you in real time. How can you use Meerkat for? Meerkat allows you to broadcast live video and share it with your Twitter followers that will interact with you in real-time. For example you can stream a live fashion show, or a conference, concert or a public event. Now it’s for free, but it’s not so difficult to find a business model. As you can see below, the app is extremely simple. You just need to download the app, login with your Twitter account and then decide to “schedule” or “stream” your video. If you chose “stream” you will immediately stream a live video and a tweet will be automatically posted on Twitter. Your followers can now see what you are streaming in real-time. But the potential is limitless. Just imagine, how Stars and VIPs can engage with their fans with live meetups. Or broadcast live conference, sharing the experience with all their Twitter followers. 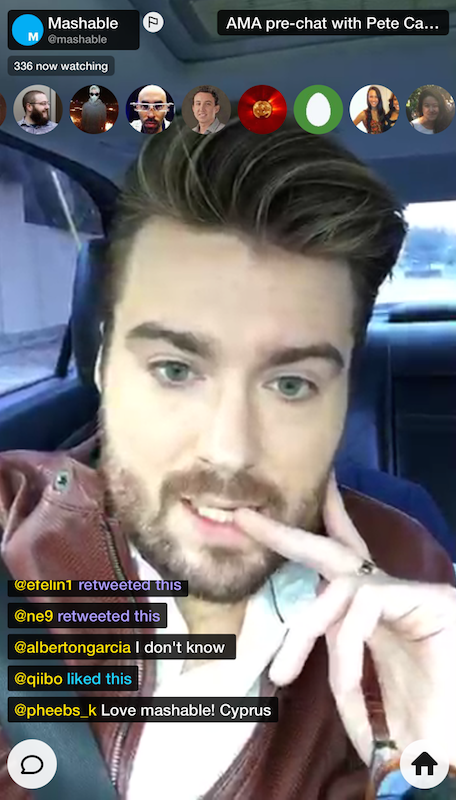 For example, yesterday I attended a live streaming held by Pete Cashmore, the founder of Mashable. At the top of the screen you’ll see all the people attending the streaming and the total users. At the bottom, you can see the comments and you can decide to post a comment by yourself. Pete was replying in real-time all the questions people were asking him. On the other side Twitter has acquired a similar app, Periscope. Of course Twitter isn’t so happy about the success behind Meerkat. It’s a feature that they probably wished to invent and now they decided to acquire a competitor. The problem of Periscope is that it’s still in Beta and by invite only. The developers are still testing it, probably to see how Meerkat is moving and try to add a missing feature that might make the difference. These acquisitions and investments confirm one of the trend of 2015: online video. Facebook has recently integrated video advertising in its marketing options. The most used social networks are Facebook and YouTube and it’s calculated that by 2017, online video will make up nearly 70% of consumer Internet traffic. 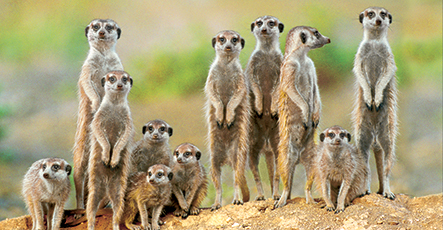 Have you tried Meerkat yet?